Google in her effort to Empower Nigerians among the African Countries, willing drive community impact starts up Google Impact Challenge for Nigerians. The Google Impact Challenge Nigeria supports nonprofits and social enterprises with game-changing ideas to create economic opportunity in their communities. Organizations apply with their most innovative proposals. Finalists get access to Google.org funding, mentor-ship and resources. Eligible nonprofits and social enterprises are invited to apply by July 4. Your community. Your ideas to make it better. 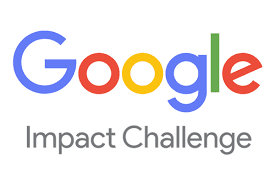 For the first time, the Google Impact Challenge is coming to Nigeria! The Challenge asks local innovators how they would make their community and beyond an even better place. The public and a panel of local Judges vote for the ideas with the most potential, and Google.org pairs each winner with a package of strategic support, funding and Google volunteers. 1) Organizations Apply: Eligible nonprofits and social enterprises submit their proposals to create economic opportunity in Nigeria. 2) Finalists Selected: Google and our partners will review applications and select 12 finalists. 3) Public Votes: From the 12 finalists, the public will have three weeks to vote for their favorite idea. 4) Final Event and Winners Announced: All 12 finalists are invited to pitch their ideas to our panel of Judges at a final event. The Judges will select three Challenge winners from these finalists, and also announce the people’s choice winner. 5) Training and Support: Each of the four winners will receive a $250,000 grant and training from Google. The remaining 8 finalists will receive a $125,000 grant. 1) Community Impact: Does the proposed project create economic opportunity in Nigeria? Does it improve the lives of people in our country? 2) Innovation: Does the project present unexpected solutions to unmet needs? 3) Reach: Does it have the potential to scale directly or to serve as a model for other communities? Will its scope grow over time? 4) Feasibility: Is the project plan (or business plan) well thought-out, and the team well-equipped to execute on it? If you think your business qualifies to take part in this challenge, then Click Google Impact Challenge to begin the registration process.